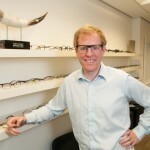 Tom, how did you start in eyewear design? After graduating in film set design in January 1997, I moved to Hong Kong (the year of the handover). For 2 weeks I applied for 20 design jobs a day until finally the owner of an eyewear company offered me a job. At first I told him that I was not very interested in eyewear but when he offered me the job of chief designer and a free hand in setting up production in a new factory he was building in mainland China, I said ‘yes’. 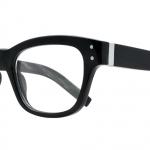 We were designing glasses for brands like Puma and Seiko. Why did you start making bespoke glasses? In offering my creations to friends and family I noticed that the glasses never really fitted because of course everyone has a different face shape. So I started to make one-off bespoke models while still designing for the big brands. I quickly realised that I had created a new market: the bespoke spectacle was born. In 2000, I came back to the UK to set up my own design company. At that time we were designing here in London and having the frames made in Japan, but in 2008 we decided to build our own workshop in Shenzhen, just over the border from Hong Kong, in mainland China. We shifted production there starting with just 20 craftsmen. 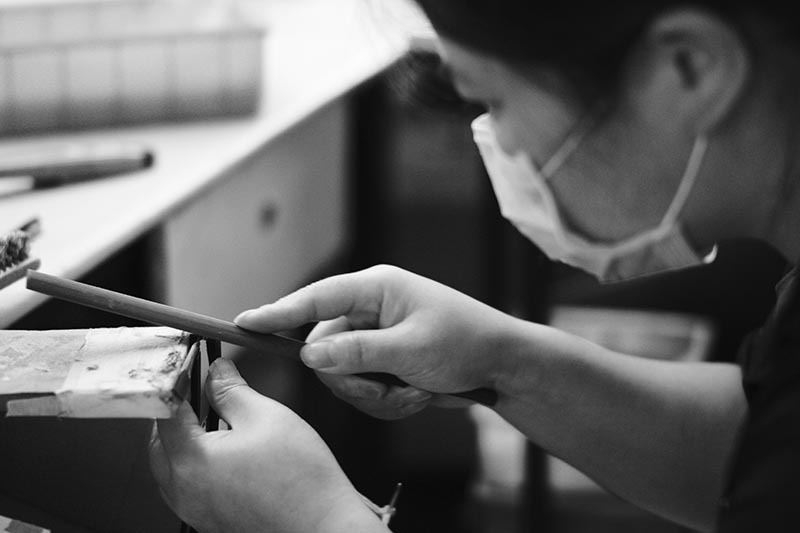 Today we have 160 staff producing about 4000 pairs of custom-made glasses a month. 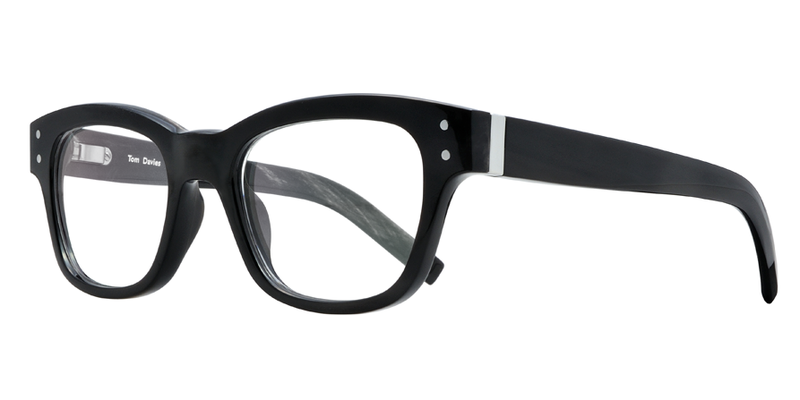 As well as the bespoke glasses, we now also produce a line of ready-to-wear. 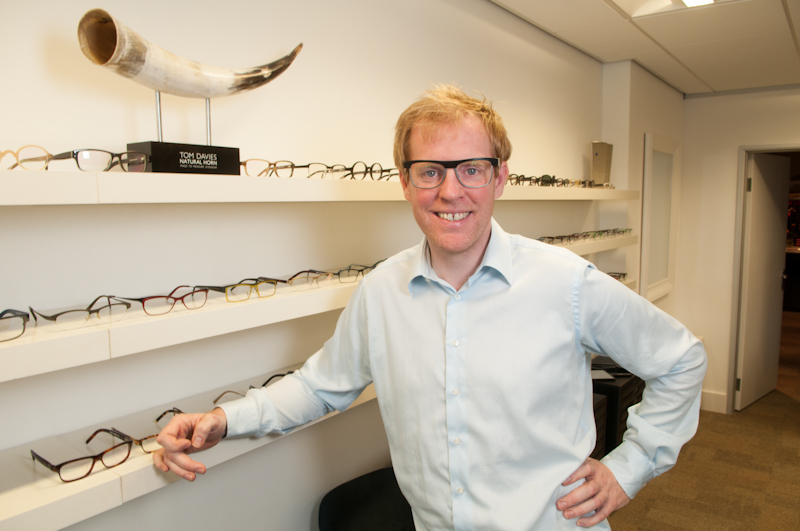 We have a worldwide network of opticians who help customers choose the right frames. They (the customers) have their measurements taken and their face shape and features are taken into account. 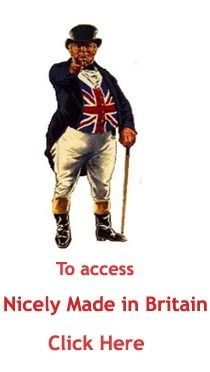 Alternatively they book an appointment to come to our offices in London and Stephen will personally take those measurements. 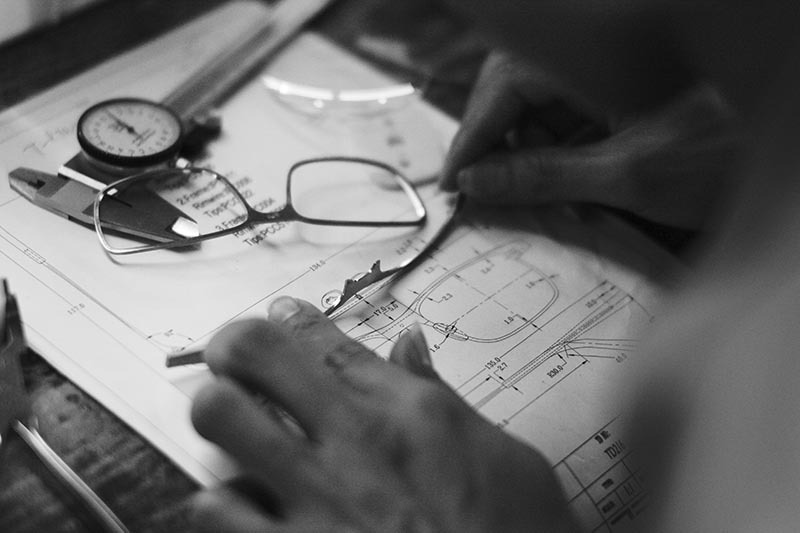 The measurements and your design choices are then sent to our workshop in Shenzhen from which point it takes about 3 weeks to get the glasses delivered. We once turned out a pair for Angelina Jolie in 4 days – she needed them for a film – but that remains exceptional. 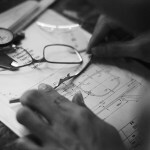 Our clients are given a bar code so they can trace the production path of their glasses online and even see a little film about each stage: welding, tumbling in a bamboo tumbler to smoothen the edges, hand polishing etc…Each pair of spectacles passes through the hands of 16 people before it reaches the customer. What type of materials do you use for your frames and where do you source them? We mainly use titanium and cotton acetate as well as buffalo horn from India but we also use fish skin, snake skin, silk, gold, diamond…..anything else people want to challenge us with except ivory and tortoise shell. For top quality buffalo horn, the animals must be properly cared for – well-fed and live long lives. There is some debate around China’s reputation with quality products. What were your thoughts on making a high-end product in China? I strongly believe that you always get what you pay for. If you pay the right price and treat people well you’ll get the quality you want. We are proud of making our products in China and it’s something that we’ve never tried to hide.